Push the control knob forward or backward to move the seat to the desired position. Release the knob and the seat will lock in that position. 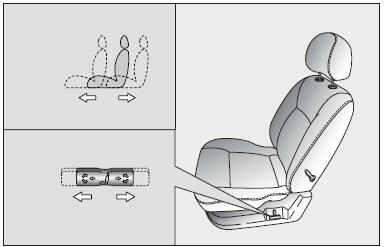 Prior to operating the vehicle, ensure the seat is locked securely by trying to move the seat forward or backward without using the control knob. If the seat moves, it is not locked properly.